Many of us leave it up to Microsoft to keep our computers safe using the Windows Update service they provide. We as a company were doing fine until we started buying Windows 7 computers along side our existing Windows XP computers. Eventually Internet Explorer 9, IE9 for short, was replaced with IE10 by the Windows Update service on Windows 7 computers. No one noticed the upgrade until they had to browse our intranet. It seems that while our client computers where rolling through the updates, are servers were stuck months behind. So we told everyone to rollback to IE9. That was a great solution that kept us working through those months. That didn’t mean our customers were doing the same thing. Monty Wright, from Thomas Instrument, was trying to submit a repair through our site this last December and was not making any progress. He called our repair shop for help and they called me to troubleshoot the issue. 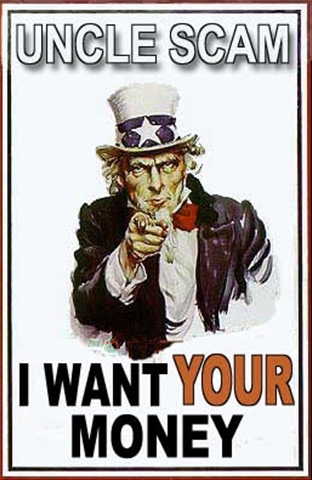 I could not replicate the problem using IE9, so I contacted Monty for details and discovered he was upgraded. I contacted his salesperson, Andy Lewis, and asked him to help Monty get his repair submitted, while I worked on the issue. I chose to upgrade my Windows 7 computer. Then I could see the buttons on the form were missing. I found a workaround was removing the styling, but that made the page awkward to use. Turns out the server was the problem. Since it had not gone through updates in six months, the server was missing the update that would let the server identify IE10+. That meant it was serving the page with the minimum of features and was unaware that IE10+ was the latest greatest. The server update corrected the problem and the page was restored. Welcome to the era of IE Double Digits! It’s uncommon for businesses in the automation and field service and repair industry to have an IT department — or an active blog. 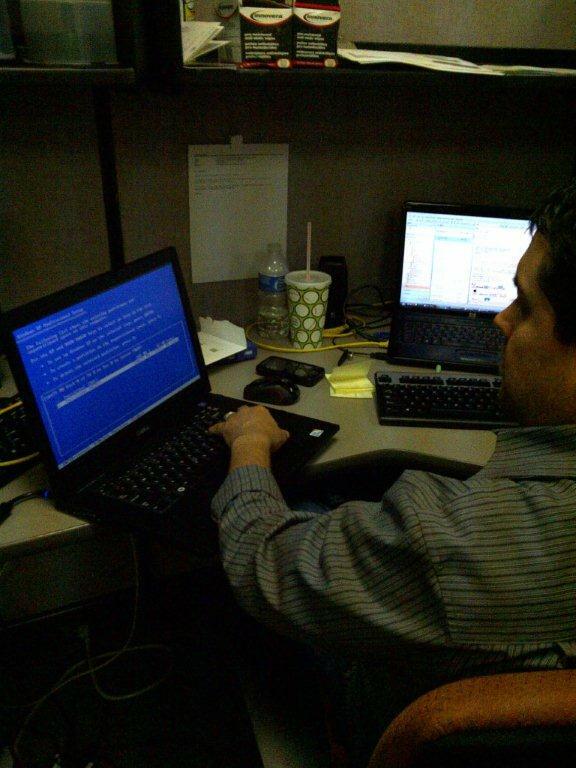 However, Innovative-IDM has both, including Charles Byron who just got the dreaded blue screen of death sets up all of our new computers. Since the swine flu has been known to be transmitted on keyboards and computer mice, Innovative’s Director of IT Kenneth Skillet has announced he will be boiling his hands in water four to six times a day until the epidemic subsides. Skillie came in to work on Saturday to do some programming, walked toward his desk and ended up in this mess. How’d this happen? What is a Phishing Scam?! Like many other people who have an email address, we get our fair share of scam emails from people who are looking for any kind of information to try and benefit through fraud. 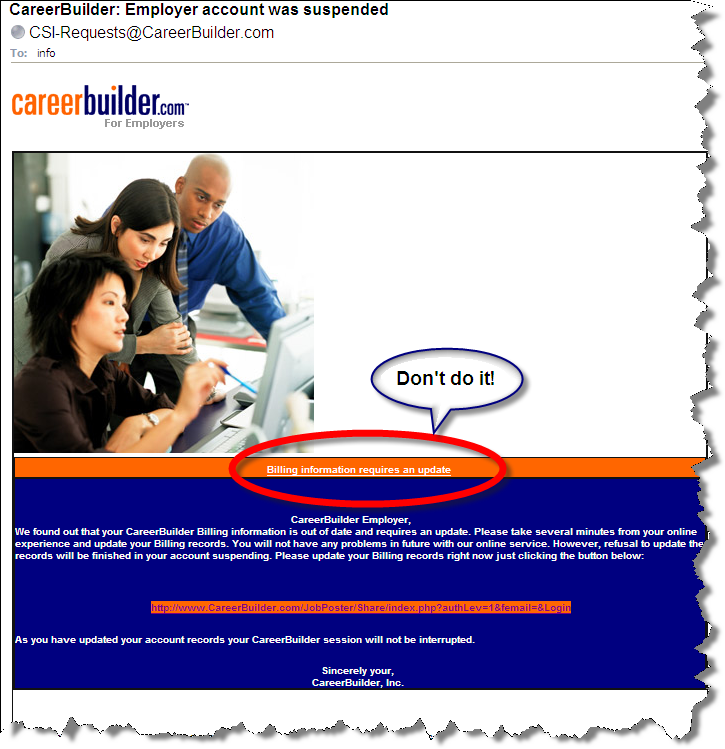 Our latest came from an email posing as an account manager from Career Builder saying that our account has been suspended. Click here to update your Billing Information. Here is Wikipedia’s definition of Phishing and here is a good article from Microsoft on how to recognize a scam.